Develop and maintain college online presence using accessible technologies. The technical and visual standards of the online presence must compare favorably with the state-of-the-art in the web design. 1) Periodically redesign the websites of the college and the departments by taking user feedback. 2) Maintain the news section of the websites upto date. 3) Deploy a measurable workflow and support system for seamless, authoritative submission of information for the update of the website. 4) Provide guaranteed delivery of promises on the work completion. 3 hours for emergency news. 2 working days for regular news update. 7 working days for regular website update. (a) All the official communication of the webstudio is through e-mail, SVN or trac only. (b) The project management tools such as SVN and trac shall be used for work tracking and approval. (c) All the e-mails requesting content upload and correction must come from official e-mail IDs. 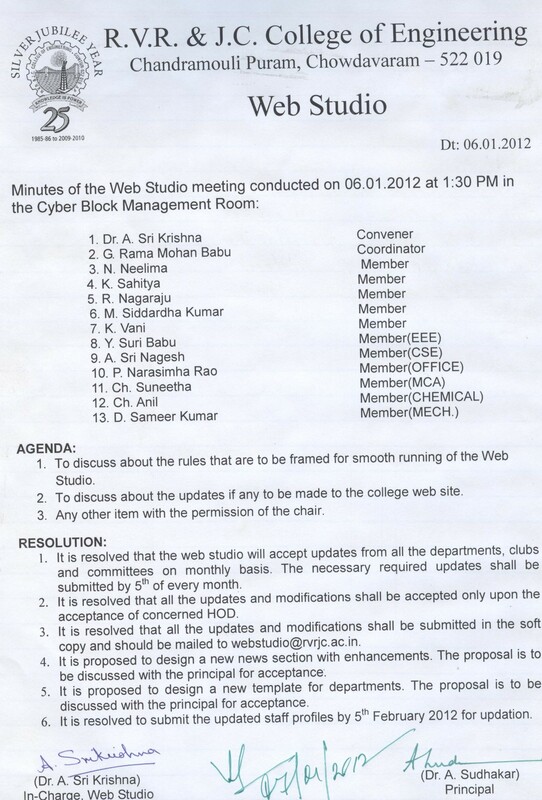 (a) The webstudio shall be responsible for centralized hosting of the college and the department web sites. 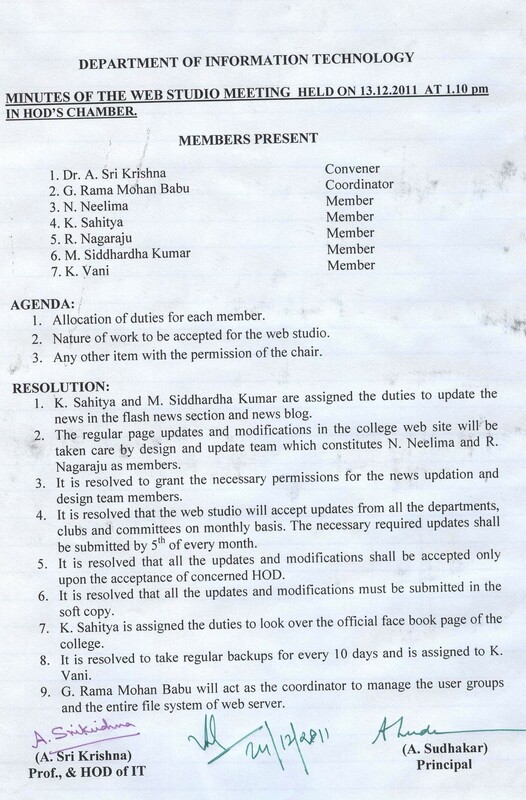 (b) Upon request, the webstudio shall provide hosting space to the college committees. 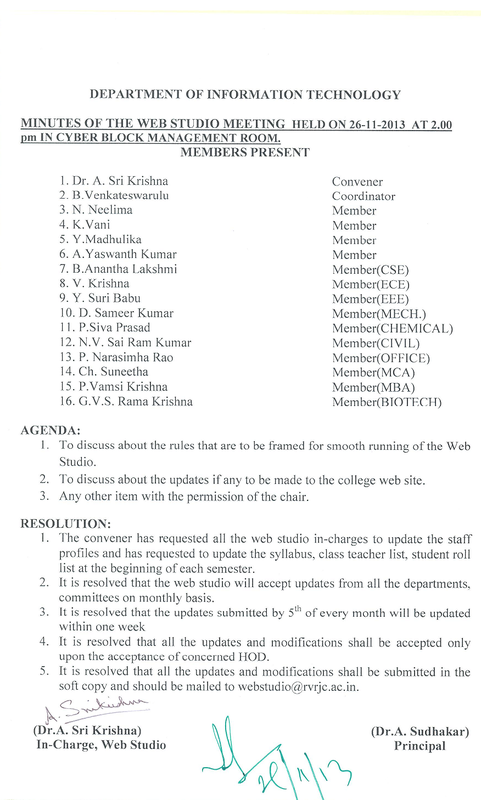 All the updates to the committee web sites shall be through web studio. 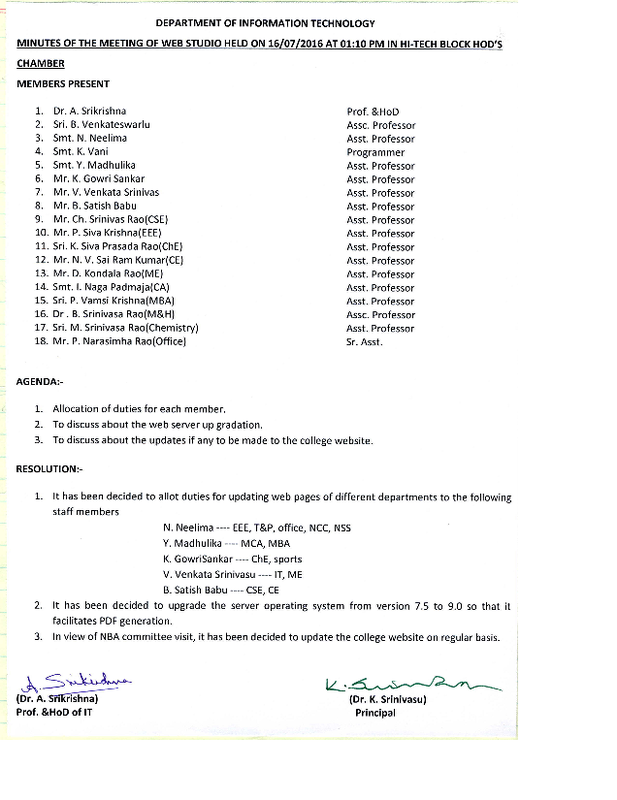 Individual web accounts are not given to the college committee members. (c) The faculty members may request for individual web hosting space. The accounts shall be given to the faculty. The account holders are responsible for any content in their personal space. 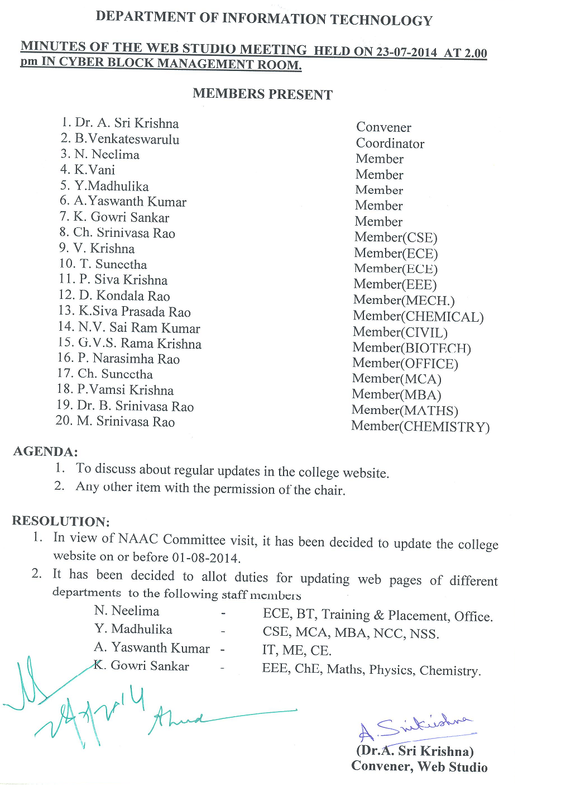 (d) The students are not given hosting space on the college web server. The website content upload/update follows the four phase cycle. Content creation phase "This is done entirely by the department (Committee / In-charge responsible for that particular division. Web Studio can advise you on the workflow for content creation, but web studio cannot do the content creation work or typing work for you. The department-level in-charge is responsible for content creation and dispatch of the content to the web studio through ˜trac" software. 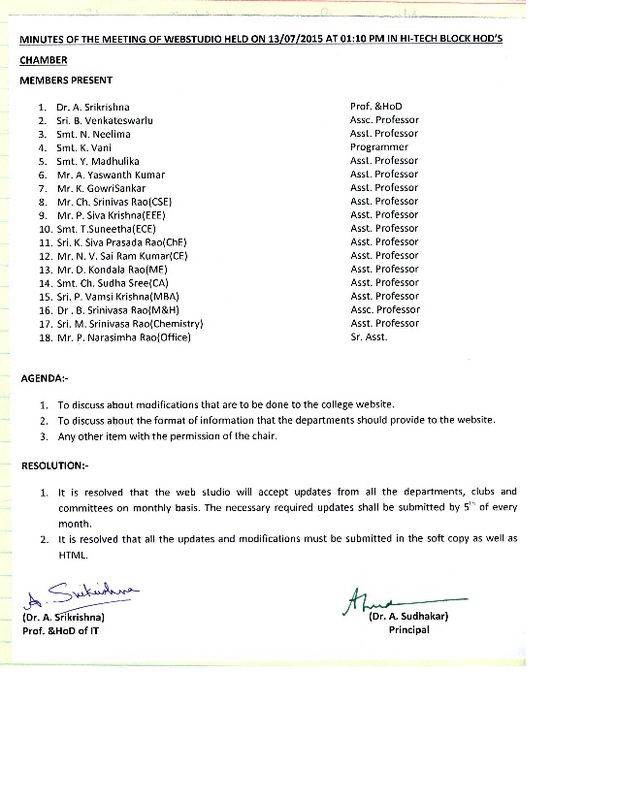 Content verification phase "This is a collaborative phase in which the information is verified, corrected and edited by the web studio team in consultation with the department in-charge". Content upload phase "The web studio team shall present the content in the web site. Once the content comes to content upload phase, the work shall be completed within the guaranteed work completion schedule given in goal # 4. Suggestions phase "The department co-ordinators and other members of the department may make suggestions to improve the content or the presentation of the information on the website. The final suggestions must come through e-mail or project management system. 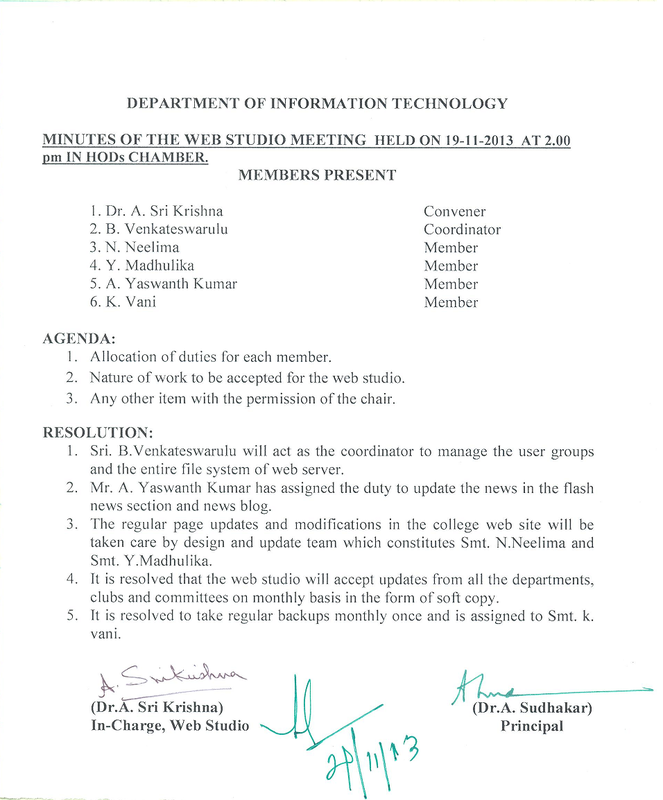 Webstudio team meets on every 3rd Saturday of the month to review the progress. The meetings are all open house i.e., any one can walk-in and participate in the meetings. 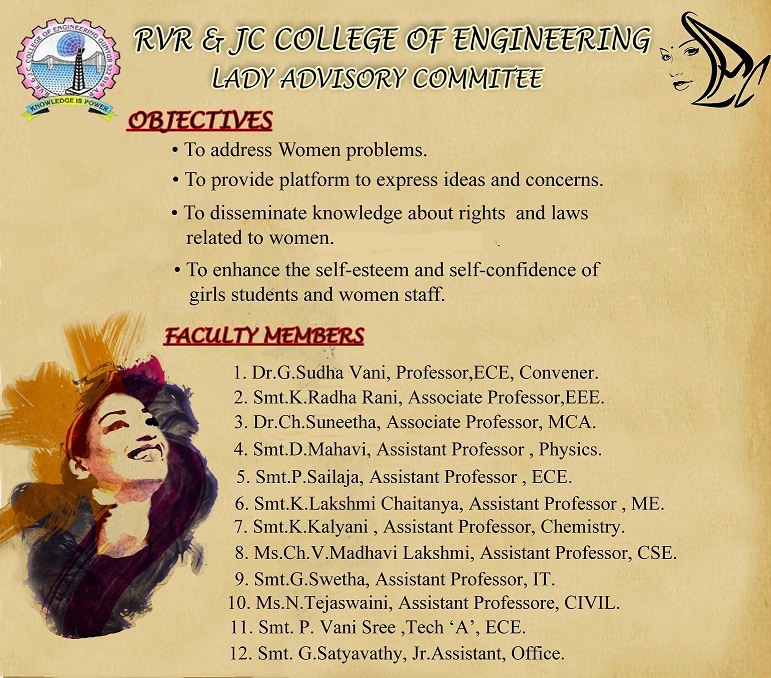 All the stakeholders, especially, students are welcome to participate or observe the meetings.